Gone are the days when I could settle down with one book in my lap, perhaps a snack or two and a hot beverage, and focus on one story line at a time. My attention span has been shot to death with the invention of the internet, and I freely admit that. I still enjoy reading though (obviously). How to solve the problem though of a wandering mind. Over the last couple of months I think I found the solution. I’ve allowed myself to pick up more than one book at a time and switch between stories when I feel like one isn’t captivating my attention at a certain time, even if I really like it. The real trick though is the medium by which I consume these reads. Last month, for a lighter daily bag, I brought my Kindle with me to work and read an e-book (The Death Cure) during lunch. During the 50-minute car ride home I’d listen to my audio book (Gulliver’s Travels) as I navigated Miami traffic. And at night, when I was comfy cozy in my pajamas, ready to settle in with the lamp alight on my nightstand, I’d read a physical hardcover or paperback (Leyenda and Lord of Shadows). Some nights I still can’t concentrate on a full fledged novel though, so I compromise with comic book reading. Short pages and mostly artwork does wonders for keeping the brain entertained. My new strategy of reading multiple books and stories through different channels at different times has also expanded the amount of reading I get done in a month. The thing about trying to keep reading one book when I wasn’t feeling it, is that I’d read the same sentence at least five times over and still not process what was happening. Letting myself give in to the new millennial attention span and spreading my reading around through e-book, audio book, and physical book has increased my ability to multitask and enjoy a story even more than I already could. For the first time in a long time, I look forward to taking a look at my TBR list and not feeling a dreadful pit in my stomach, making me feel guilty for adding, adding, adding and never making a dent. I’ve finally started to get some of those books off my list. Should I even dare to dream that one day I can make it through the whole list? Alright, that’s probably farfetched, but a reader can dream. Audio Books! Can I Get An Amen? I started listening to audio books a little over a year ago, hesitant to take on the endeavor because I thought, “I can’t possibly pay attention to a story if I’m listening to it.” Of course, that logic is flawed because that’s how I used to take in stories when I was a kid, before I knew how to read. What opened me up to the idea of audio books was actually podcasts. Once I started listening to things like Limetown Stories, Welcome to Nightvale, Wolf 359 and a plethora more, I realized I did in fact have the capability to multitask when it comes to paying attention to stories audibly. I started with re-reads, as I figured it’d be easier to listen to a story I was already familiar with, so if I miss a line or two, I wouldn’t be totally lost. Cassandra Clare’s The Mortal Instruments series is where I dove in to the audio book scene. While I recovered from my LASIK eye surgery a couple of months ago, I voraciously ate up Pride & Prejudice through Spotify and listened to Amy Poehler narrate her memoir Yes Please on Overdrive through my library. Slowly I became more comfortable with listening to audio books and taking care of such tasks as scrolling through Twitter and catching up on emails. Long car rides are also an ideal setting for audio books. I started a new job last month and I can only listen to so many podcast episodes before I’m all caught up and have nothing left to listen to. I ventured into Playster and decided to give new books a try, now that I was a more skilled multitasker with enhanced listening abilities. Once again, Cassandra Clare came to my rescue with Tales from the Shadowhunter Academy and The Bane Chronicles. Honestly, I marvel at my ability to write about traffic school and listen to the enthralling voices of Chris Wood and Keahu Kahuanui all at the same time. Also, hearing the chilling encounters in World War Z helped me get through the day writing about vital records (it’s a thing; go look it up). Now as I work I am finally getting into another classic that’s been on my TBR list since 10th grade: Jane Austen’s Emma. British narrators are possibly the best, in my opinion. The wonderful thing about audio books, and I’ve saved this best part for last, is I can add them to my Goodreads count of books read! Why is this so exciting for me? Because on top of starting a new job last month, I also started grad school, which means I’ve had no time whatsoever to do leisure reading. Audio books have changed the game though. I used to be one of those people who thought, “Audio books don’t really count,” because I had that notion that one can’t really pay attention to them. I have been proven wrong and seen the light. Listening to audio books is just an enhanced way of reading. It’s engaging, entertaining and it definitely counts. Audio books are a full-time worker grad student’s best friend. Hallelujah! 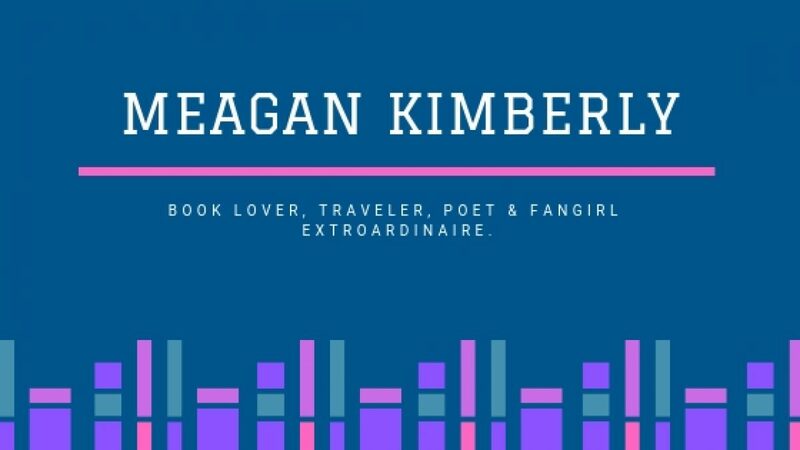 Author Meagan KimberlyPosted on April 19, 2017 Categories Books, Reading, WritingTags audio books1 Comment on Audio Books! Can I Get An Amen?